Heartland Park Topeka Classes September 7-9! 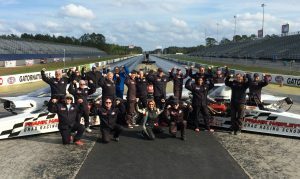 In addition to on-track time, students taking the 2-day licensing program will learn from Frank’s classroom sessions which cover the physiology of how the mind and body work together. Participants will learn how to mentally prepare, perform at the highest level, improve focus and block out distractions. Frank teaches how to practice more effectively, feel more confident about pulling up to the starting line and he shares techniques on how to remove the emotional baggage (everybody has some) that can often disrupt good performance. For those that are simply looking for the thrill of blasting down the quarter mile, the Dragster Adventure is offered on September 9th. 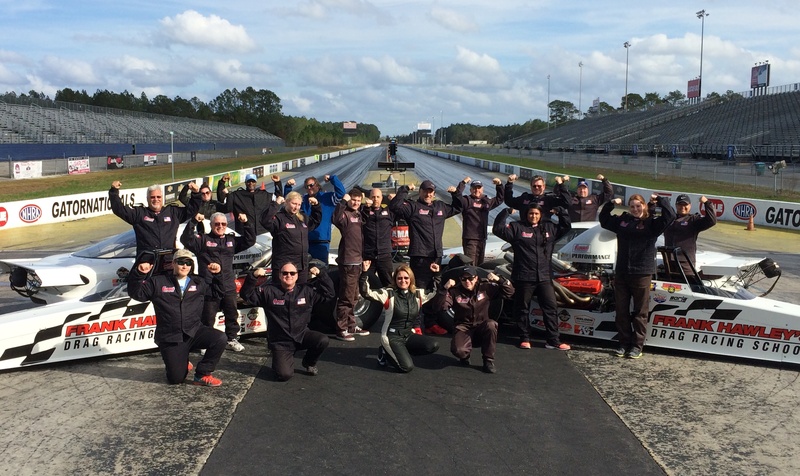 The Dragster Adventure starts at just $399 for the half day program, or $599 for the whole day program with SIDE-BY-SIDE racing. 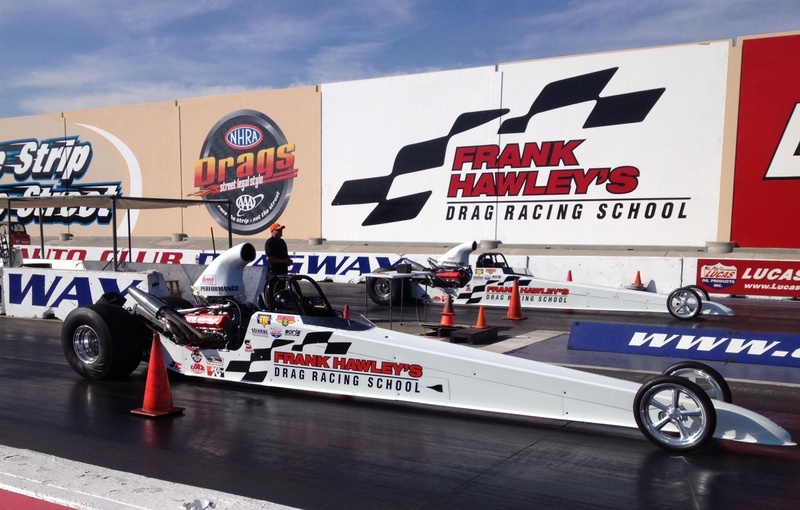 Seats are limited and advance registration is required, so call now to reserve your seat for the September 7-8 competition course, or book on-line for the Dragster Adventure on September 9th. For additional information, please call Frank Hawley’s Drag Racing School at 866-480-7223 or visit the school’s website at www.frankhawley.com. Follow us on Facebook, Twitter, Google+, YouTube and Instagram!